Nutritious and tasty recipes for fried, baked, raw, vegan and more! The ultimate in light fast food, Middle Eastern falafel have become a universally adored comfort dish, which uniquely manage to bridge the gap between healthy and delicious fare. Learn to make best-ever falafel with tips and tricks, and this creative collection of recipes for fried, baked, and full on falafel meals. Falafel are an ancient Middle Eastern food originally made with fava or chickpeas (garbanzo beans), which are crushed and mixed with herbs and spices and molded into patties. They are then traditionally served in pita bread pockets with salad and dips such as hummus, tzatziki, or tahini sauce. The rest of the world have since caught on to the delights of falafel, and chickpea patties have steadily been becoming the darlings of vegans and vegetarians, picnic goers, festival food trucks and supermarket delis since the early 2000s. It’s not hard to see why: quick, easy and inexpensive for home-cooks to make, they also fall into that wondrous overlapping category of being crave-worthy and satisfying (up there with fries and other such savory morsels) as well as nutritious and fairly low in fat. What’s more, chickpeas are a brilliant source of protein for those who don’t eat meat. They are rich in fiber, as well as nutrients manganese and folate. 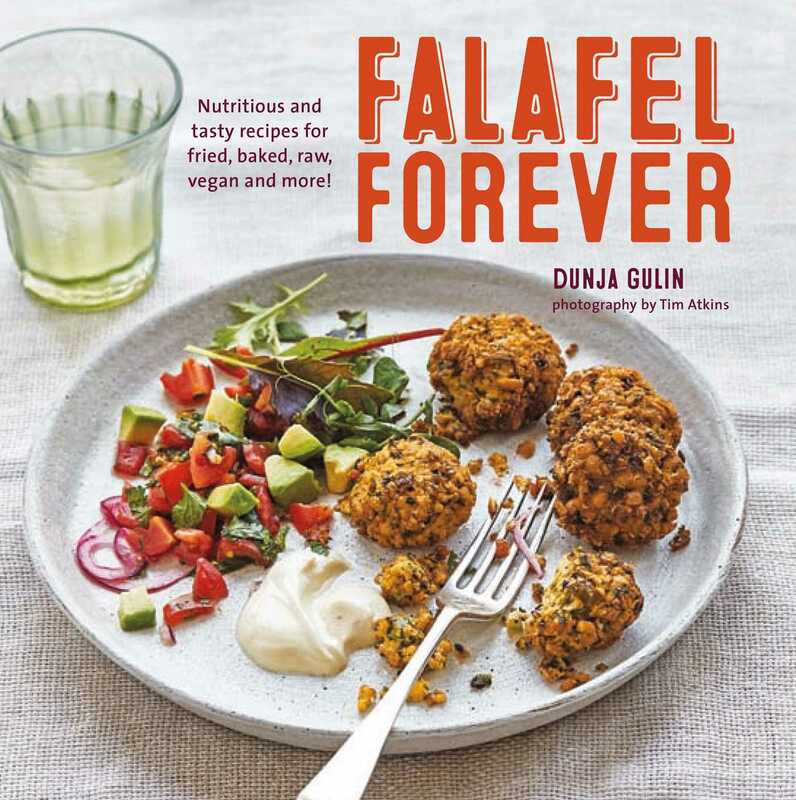 But the health benefits don't stop with chickpeas—modern falafel are often made with added vegetables, nuts and seeds, lentils, or other grains and legumes, as are many in this book. In the Fried section try the Fennel & Lemon Scented Falafel or Juicy Brown Rice Faux-lafel. In the Baked chapter find Crunchy Sesame Falafel or Falafel Croquettes. The Raw section offers snacks such as tasty Mediterranean Seed Falafel, which are packed with good stuff, and very low fat. For something more substantial try curries, casseroles, burgers, and salads in the Meals chapter. Lastly, whip up Sauces & Dips such as Spicy Avocado or Home-made Tahini Sauce in the to perfectly complement your patties.The savory taste and filling texture of falafel means they are great in a wide range of dishes. Falafel forever is for the falafel-obsessed as well as people who are new to trying this delicious dish in all its various forms. For almost a decade Dunja has worked as a cooking teacher and chef – both on retreats and for private clients – and contributed to several healthy cookbooks. She also runs her own fermented food workshops. Dunja is the author of a popular book on vegan breakfast published in her native Croatia, and of ‘The Vegan Baker (978-1-84975-351-7)’, ‘Raw Food Kitchen (978-1-84975-223-7)’, and most recently ‘The Vegan Pantry’ for RPS.